As the name suggests, cut & loop carpet has a combination of high cut tufts and lower loops in a variety of sculptured patterns. 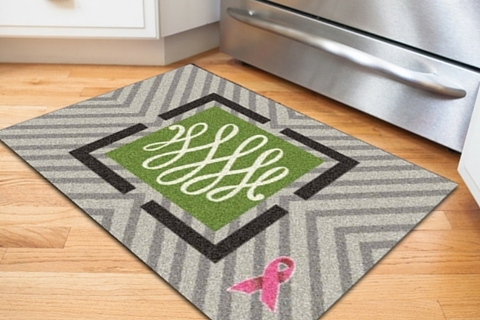 Tough and durable, cut & loop carpets can be used in any place that gets a lot of activity. But, probably the most attractive feature of these carpets is the beautiful, yet subtle patters that they can create. Unlike patters created by using different color fibers, cut & loop patterns usually use all the same color fibers. The pattern is created by the difference in texture between the cut ends of the fibers and the looped pieces. These carpets are great at adding a dimension of texture that creates an enhanced plush profile and camouflages traffic patterning. Here are some of our favorite cut and loop styles. Catch a wave with these free-flowing patterns. They'll help hide traffic marks and small stains and they add just the right amount of interest to your floors. 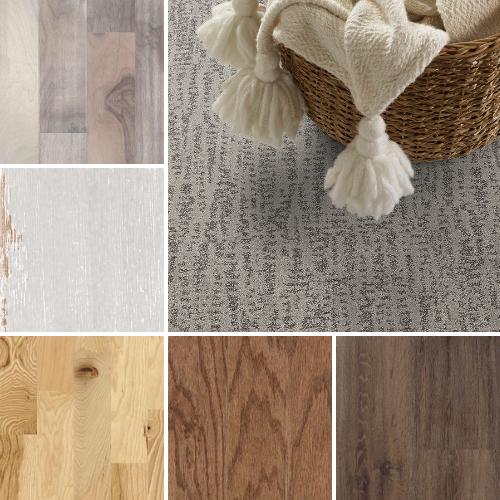 Take more organic approach and opt for vine-like patterns on your floor. These patterns have a more traditional elegance. For a more structured look, there are many options of lines, stripes, checks and blocks.